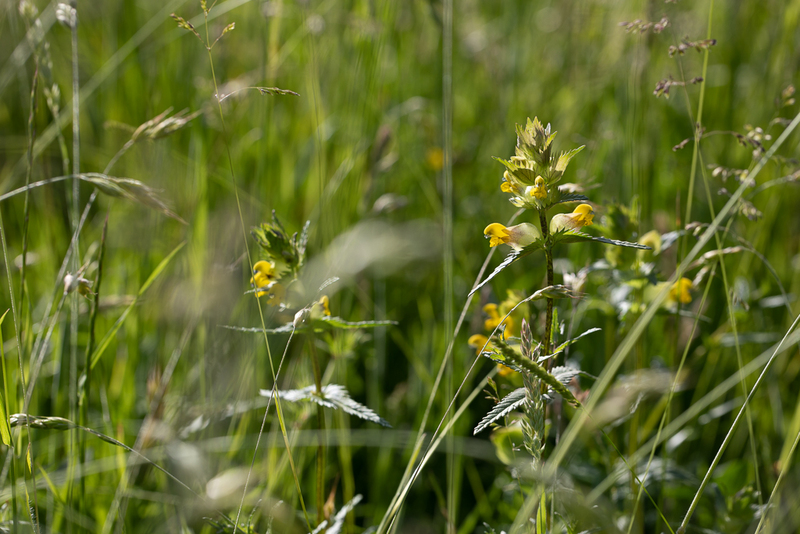 The meadow is looking at its most magnificent this month. 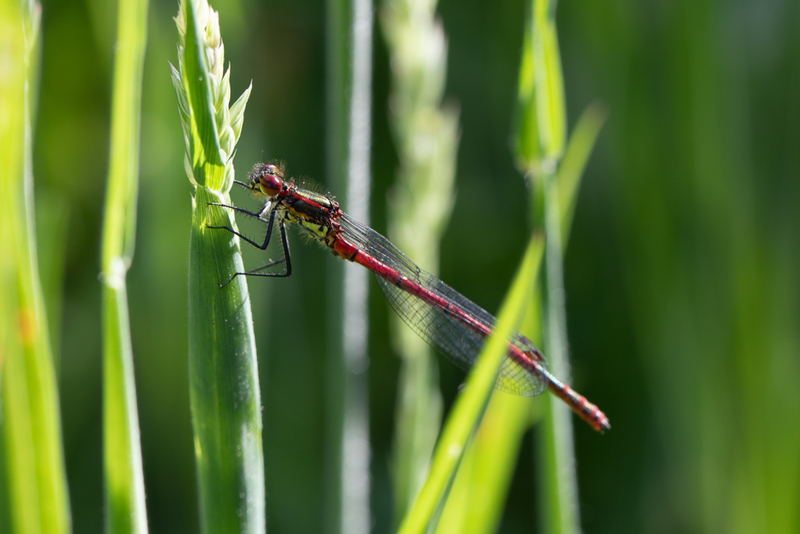 Just wandering along a less used grass path lets you get that bit closer to the nature all around you. 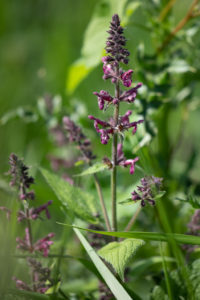 Taking in all the flowers, watching the wind ripple through the grass and listening to the many birds singing in the hedgerows is just pure delight. Sitting next to river gives that final calmness. 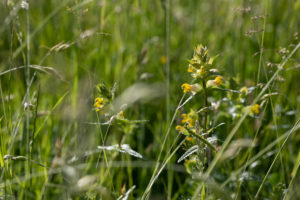 Yellow Rattle – doing really well at the moment in Cathedral Field. 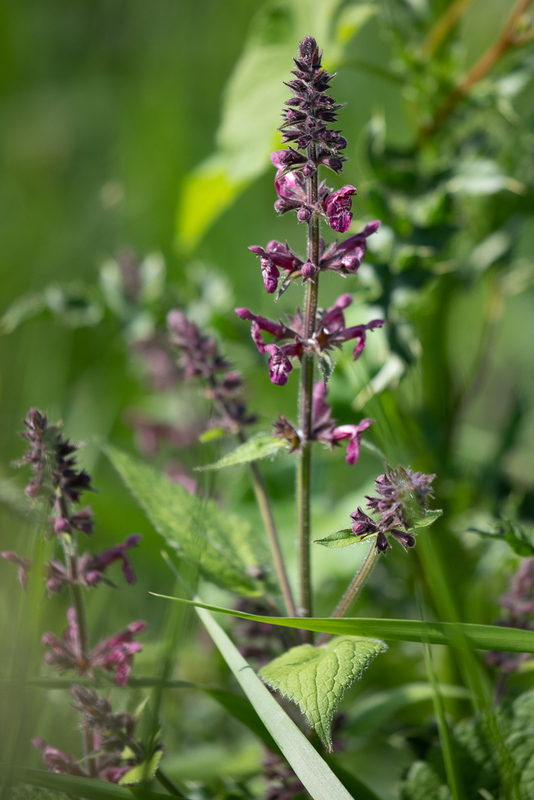 Hedge Woundwort – springing up along the riverbank and the edges of ditches. 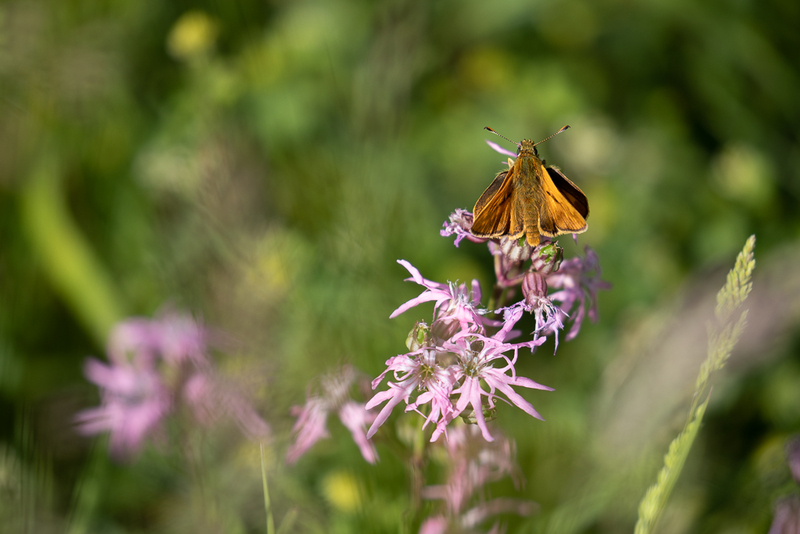 Ragged Robin – only a little of this at the edge of Flood Field this year, but it’s still attracting butterflies. 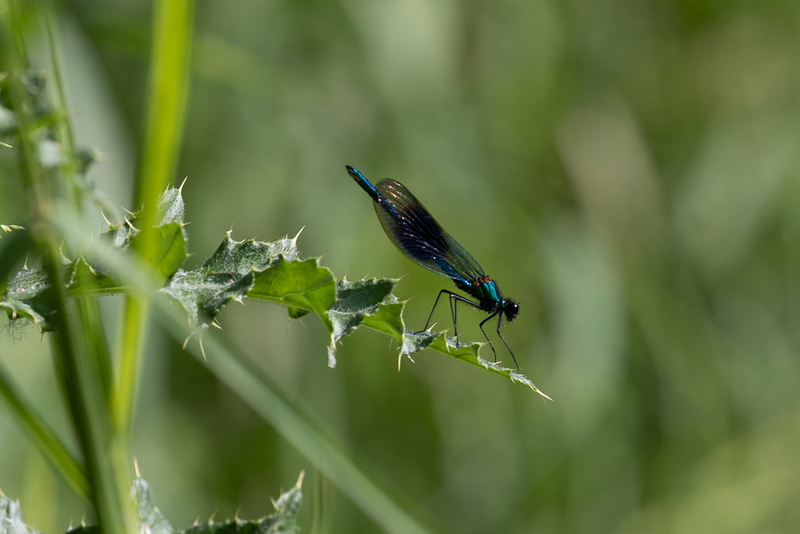 Beautiful Demoiselle – can be spotted around the river or on the comfrey patch by the river bend. Banded Demoiselle – found along with its beautiful cousin. 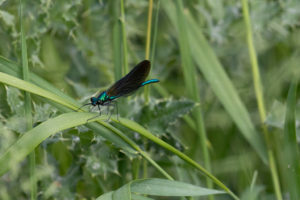 Its wing isn’t fully dark. 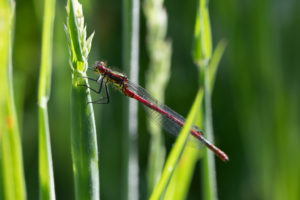 Large Red Damselfly – this one was in Cathedral Field. 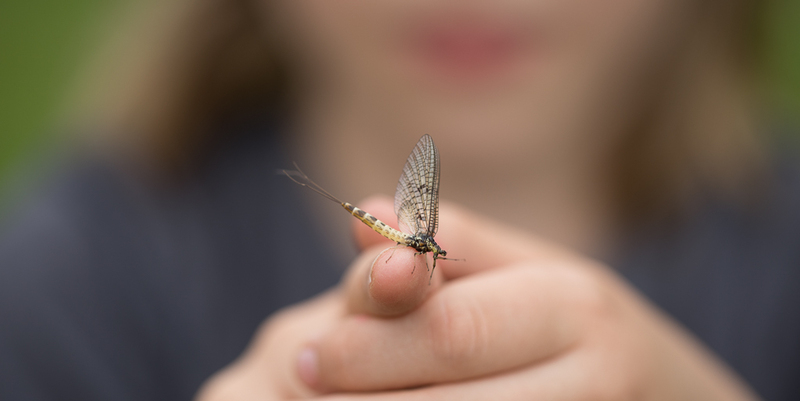 Here’s a link to our Dragonfly ID sheet. 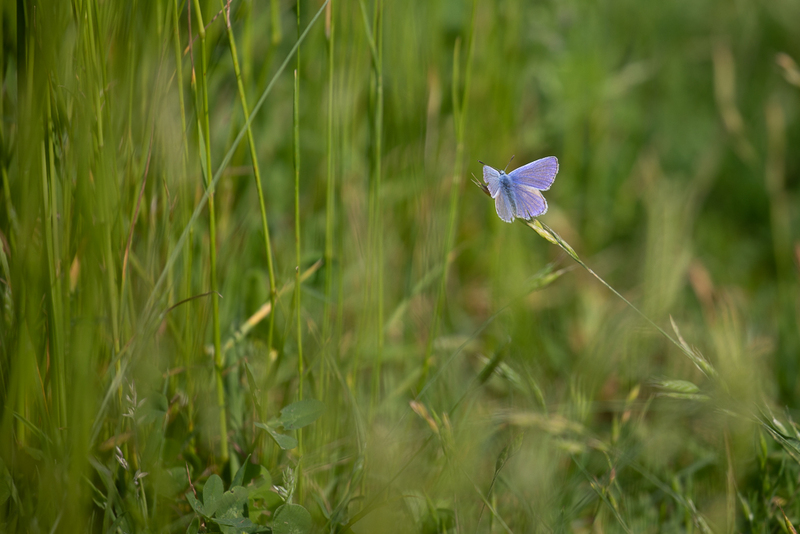 Male Common Blue Butterfly – though it is small, its beautiful upperwings make it easy to spot. The female can be much browner. We are holding an insect event on Saturday 23rd to explore what we have living in the grass, flowers and bushes on the meadow.